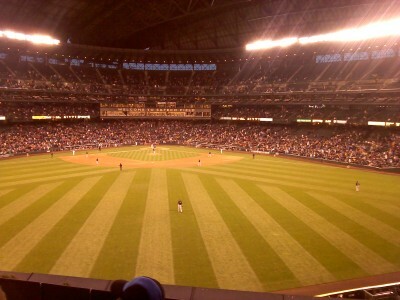 There are three regions of the world known for producing execellent baseball players. Those regions are as follows; North America, South America, and Japan. Right now we'll take a look at some of the best ball players to come from the land of the rising sun. Ichiro burst on the scene in 2001, and made an immediate impact for the Seattle Mariners. In his rookie season, the Japanese right fielder won Rookie of the Year, Most Valuable Player, and a Gold Glove for his defense. All while propelling his team to 116 wins, the most in Major League history. Ichiro has done nothing but hit since coming over to the states, and is a sure fire Hall of Famer. If he had come earlier in his career, he'd likely be the All Time hit leader. "Godzilla" came over from Japan in 2003, and came swinging a big stick. The New York Yankee outfielder was selected to two All Star games in his major league career, and is widely regarded as the best power hitter to come over from Japan. 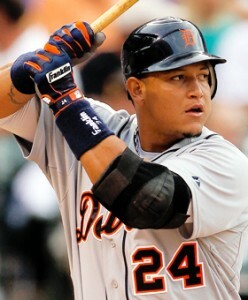 In 10 years, he's hit 175 home runs. Impressive given that he's spent a large amount of time injured. 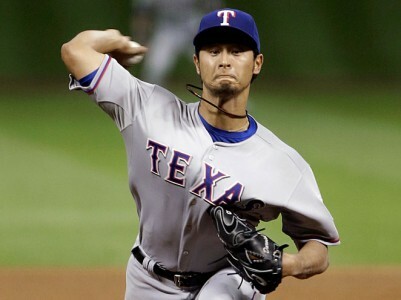 While he doesn't have quite the tenure that some others on the list may have, Yu has been nothing short of spectacular. His name was first bandied around following a great performance in the World Baseball Classic. Upon signing with the Texas Rangers, Darvish immediately became a media sensation. The pitcher was voted third in Rookie of the Year voting last season, and in his second season, led the league in Strikeouts. Did we mention that he's been an All Star in every season he's played? Hideo Nomo gets credit for being the first Japanese pitcher to really succeed in the US. He's not a Hall of Famer by any means, but he put up good numbers and have a servicable career. His biggest accomplishment would probably be opening up the doors for other Japanese players to make their way to MLB. Nomo twice led his league in Strikeouts, totaling almost 2,000 in his career, along with 123 wins. Kuroda came to the big leagues as a 33 year old, and thus he will never reach the counting stats neccesary to be called 'great'. But since coming to the US, Kuroda has been nothing but great. 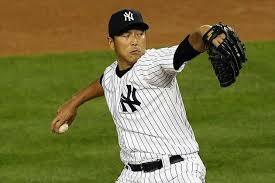 The Japanese hurler has a career 3.40 ERA, and has been a durable innings eater for the Dodgers, and now the Yankees. Off of stuff and numbers alone, he's better than Nomo, but Nomo gets credit for coming over at a younger age and before it was as common as it is today. 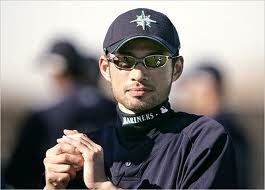 Another reliever, Kaz Sasaki broke into the big league in 2000 for the Seattle Mariners. Like Ichiro, he also won the Rookie of the Year award for his great play. Kaz was the first relief pitcher to come and truly dominate as a closer. Unfortunately, Kaz didn't stay in the big leagues for long, just 4 seasons, before heading back to Japan. Another reliever, Koji Uehara came to the US in 2009, and made his debut as a starter for the Baltimore Orioles. After a mediocre start, he was moved to the bullpen, where he quickly flourished. The 38 year old really came out of his shell last season with the Boston Red Sox. As their closer, Uehara pitched 75 innings and posted a 1.09 ERA on route to the World Series. Shigetoshi Hasegawa is the third Seattle Mariner to grace this list. Another relief pitcher, Shiggy originally pitched for the Anaheim Angels. He was decent in that role, but his true breakout came in 2003 when he was selected to the All Star Game, and finished the season with a 1.48 ERA. Dice-K created buzz everywhere when the Boston Red Sox posted a huge $50 million posting fee, just for the right to talk to him. After signing with the BoSox, Dice-K got off to a quick start, finishing in the top 5 in voting for Rookie of the Year, and then the next year for Cy Young. He quickly faded though, as he lost control of his pitches, and has bounced around since. There's the list. 10 of the best Japanese players to ever play in the big leagues. They're are definitely others worth mentioning, but those are 10 of the best. With more and more Japanese ball players coming to the Big Leagues every years, we'll surely see more players grace this list in the years to come.